Wellness is the name of the game these days. Maybe you have an early flight or board meeting, are still breastfeeding, on a new medication, or need to get to that early hot yoga class that you just can’t go to hungover even though your friend’s birthday is the night before. Enter the zero proof cocktail. As of this post, it’s been fifteen months since I chose sobriety and it hasn’t been easy. Not because of the baggage of the thing. I mean, let’s be honest, it’s more like a Louis Vuitton trunk. It’s also because my hometown is really slow to embrace the fact that alcohol is just not a part of some of our lives. Perhaps with this post I can save someone from being told to “find the water fountain in the hallway” at social events, and from standing around with a less-than-celebratory soda water with lime. Lame. Deeply Coffee - I’m a BIG fan of barista Brett Ware. Newly released Spring Crushers (pictured above) are perfection. See how simple it is to make something beautiful and zero proof? Umi Winter Park - Surprising and delightful are the bartenders at Umi. Muddled berries and mint mixed with flavored soda waters and fresh juices that are on point. Celebration turned up to 10! The Nook - All local Florida drinks available, including local kombucha and Framework coffee. Both excellent for the cozy vibe of this place. Florida and Co. - This East End Market foodie stop has Smiling Goat Shrubs and kombucha on tap. Mixed with soda water and a garnish, shrubs are a great substitute for a cocktail. The Courtesy - Definitely inventive and tasty. Be sure to use descriptive words like “bright” and “floral” or “spicy” for what you want. Stardust Video & Coffee - This local watering hole is the scene of Nerd Nite, book launches, birthday parties, and studying galore. Grab an Italian soda with Rose Monin syrup or a French soda with the same and cream. It’s pink and festive and you’ll start a new new trend. Have suggestions of your favorite places for zero-proof? Add ‘em in the comments below! Lemonade - you can use Butterfly Pea extract to make it blue and edible glitter to make it unbelievable. 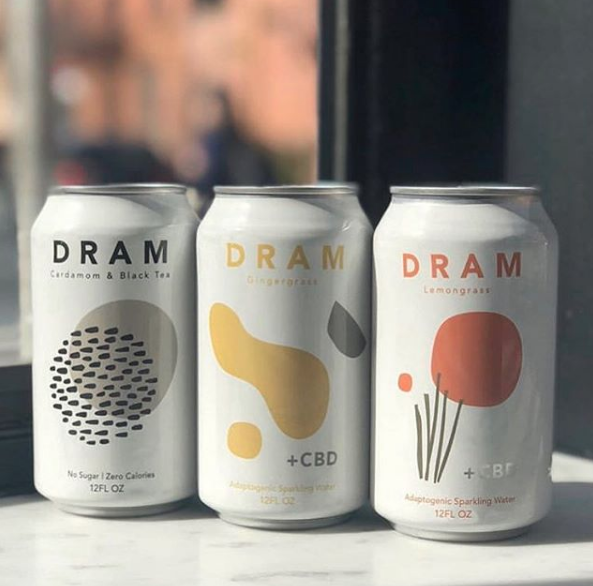 Herbal Sparkling Water with CBD is a thing! Check out DRAM Apothecary at New General. Curious Elixirs pre-mixed zero proof craft cocktails, shipped right to your door. NUMBER 3!! Tonic water, soda water, lime, lemon, grapefruit, strawberries, fancy cherries, and garnishes galore. Bitters and some are made up the road in Jax at Buffa Bitters. Make your own! Seedlip distilled non-alcoholic spirits. WHAT?! It’s a great time to be alive. You can also have that booze-free Chardonnay taste without the shame. Coca-Cola is getting in on the game with Bar None. Currently only in Atlanta and by mail. So, are your wondering how you can switch up your wellness game, or maybe sober-curious? Some of the links on my site are affiliate links. Which means that at no extra cost to you, I’ll earn a small commission if you click through and make a purchase.